Steven Kasher Gallery is proud to announce our first exhibition of one of the greatest music photographers of all time. Jim Marshall: The Rolling Stones and Beyond will feature over 60 photographs and over one hundred vintage record covers mapping Jim Marshall’s entire career and introducing never-before-seen images he captured during the Rolling Stones’ 1972 U.S. tour. The exhibition marks the 50th anniversary of the band, and the 40th anniversary of that legendary tour. Our exhibition also launches the book The Rolling Stones 1972 by Jim Marshall, foreword by Keith Richards, published by Chronicle Books. In 1972 the Stones stood unchallenged at the heights of rock and roll. They had just released Exile on Main Street, recorded primarily in the basement of a rented chateau in France, but finished at Sunset Sound, an old studio in Hollywood. On assignment for Lifemagazine, Jim Marshall traveled to the studio in California and captured intimate moments with Mick and Keith, including the indelible image featured on the cover of the book. These photographs were precursors to the images Marshall would capture from the tour itself. 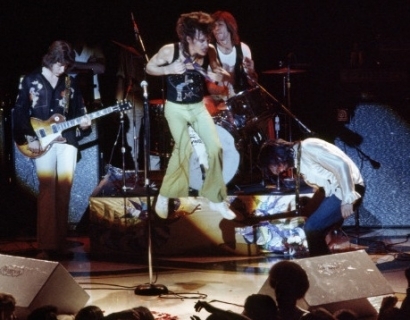 The Rolling Stones’ 1972 tour earned a four-million-dollar box office — bigger than any before. Jim Marshall was already music photojournalism’s maestro, and it was not his first time covering the Stones — but it was the first time he was commissioned by Life,the most visual of mainstream publications. Marshall was in his element, and, like Jagger and Richards, imbibed more than a fair share of booze and cocaine. Jim’s pictures on the 1972 tour show Mick, Keith and the boys at their absolute peak, giving not just career-defining performances, but genre-defining, the apex of an entire art form. Jim Marshall captured the music of the 1960s and 70s through some of the most iconic images in music history, many featured on the over 500 album covers he produced of great musicians. He was selected as the principal photographer of the Woodstock Festival, but started photographing musicians before the wildfire of rock and roll, including Miles, Monk, Coltrane — all the jazz greats. He caught the folk scene – Baez, Dylan, Seeger — in full bloom. He grabbed the last legends of country blues – Mississippi John Hurt, Skip James, Son House – before they disappeared. 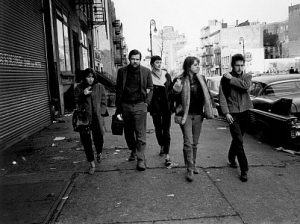 By the time rock music emerged as the leading cultural and artistic movement of the sixties, Marshall was already firmly established as the premier music photojournalist of the day. 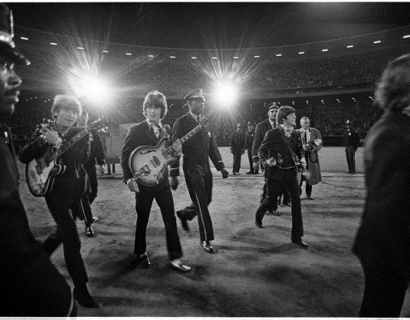 Marshall was the only photographer allowed backstage to what became The Beatles’ final concert, at Candlestick Park. Jim’s photos from the Monterey Pop Festival captured the breakout performances of Jimi Hendrix, Janis Joplin, and Otis Redding. 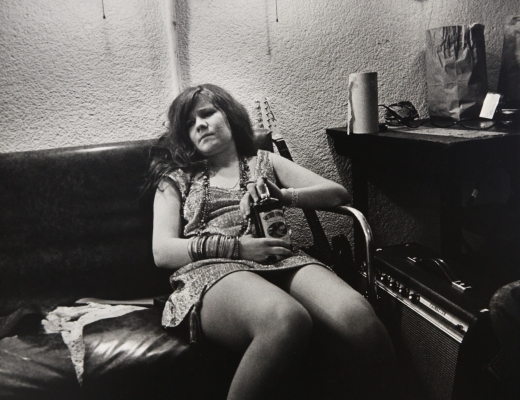 Jim also captured moments of unguarded intimacy, such as Janis lounging backstage with a bottle of Southern Comfort. Jim documented Johnny Cash during his legendary concerts at Folsom and San Quentin. Jim Marshall’s images are at once larger than life and yet intimate. He could encapsulate a spectacle, and penetrate a solitary world. Marshall illustrated what music looked like to the world at a time when music was transforming history. 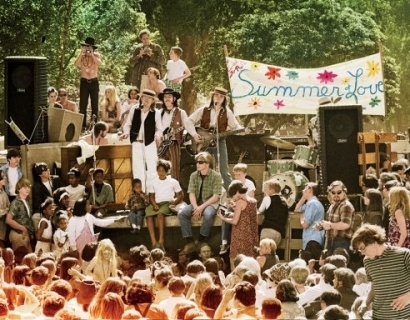 The tenor of the 1960s counterculture allowed performers to open up and be seen unguarded. They were not as hidden behind public relations people and managers and muscled bodyguards as they are now. Jim Marshall: The Rolling Stones and Beyond will be on view from July 5 through September 8, 2012.